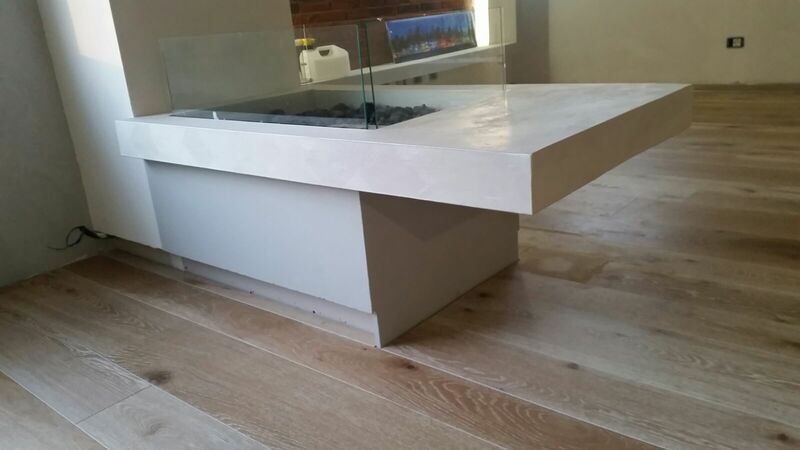 ...customised or in a range of 6 standard finishes. 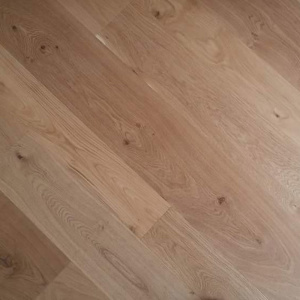 Three layers maxi plank available in 3 widths with a 4 mm thick top layer of French rustic oak. 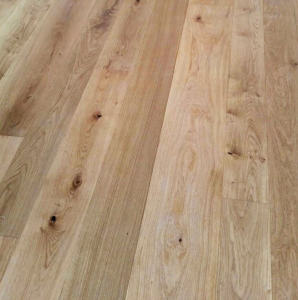 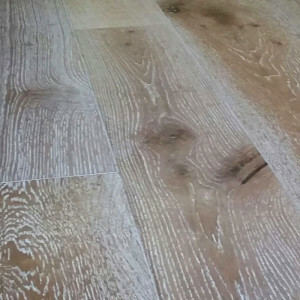 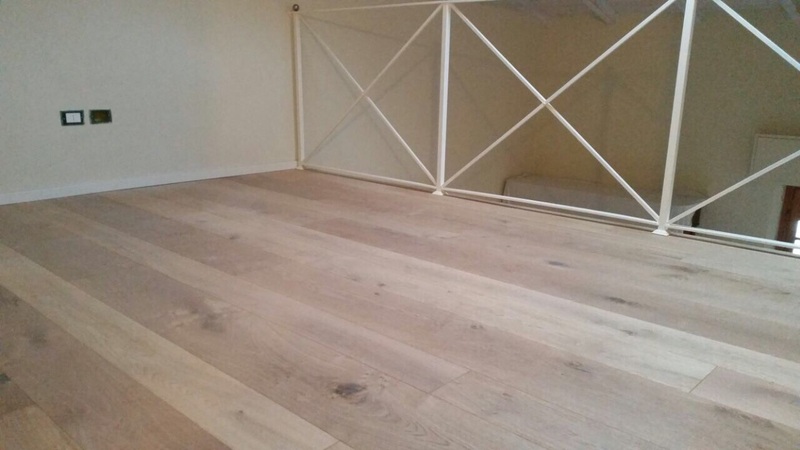 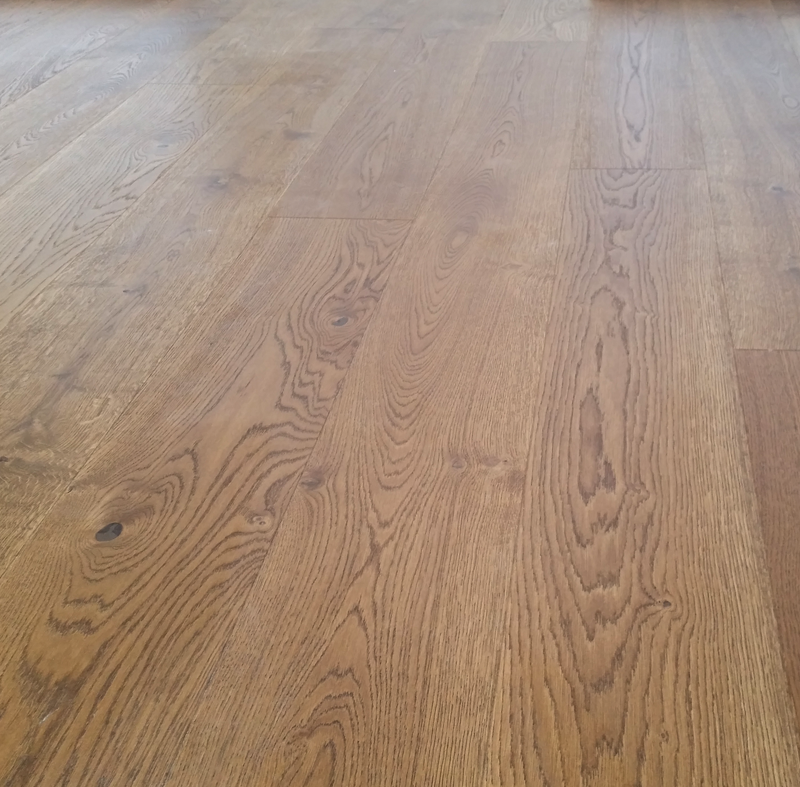 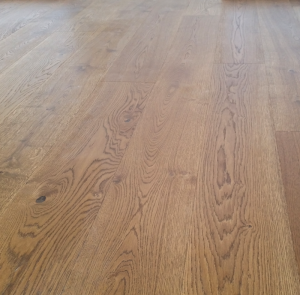 French Oak, is characterized by the broad movement and diversity of the grain and the beautiful "cross- shaped" knot , features that make this variety of oak ideal for the construction of rustic or antique floors. 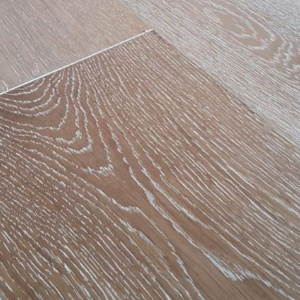 The support is made of counterbalanced fir wood strips. 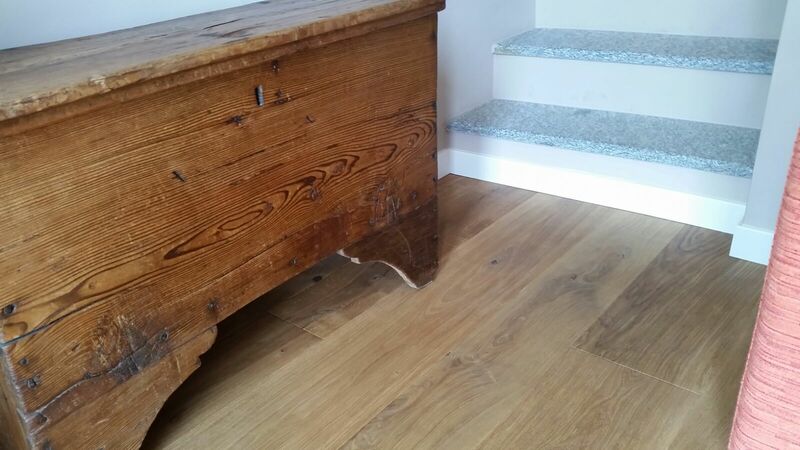 From this base, our artisans can create any possible finishing, from colour-samples or not, using water-based varnishes, natural oils, dyes and patinas. Besides these custom-made finishings, we offer a standard range of 5 UV acrylic colurings and 1 totally organic, oil finishing. 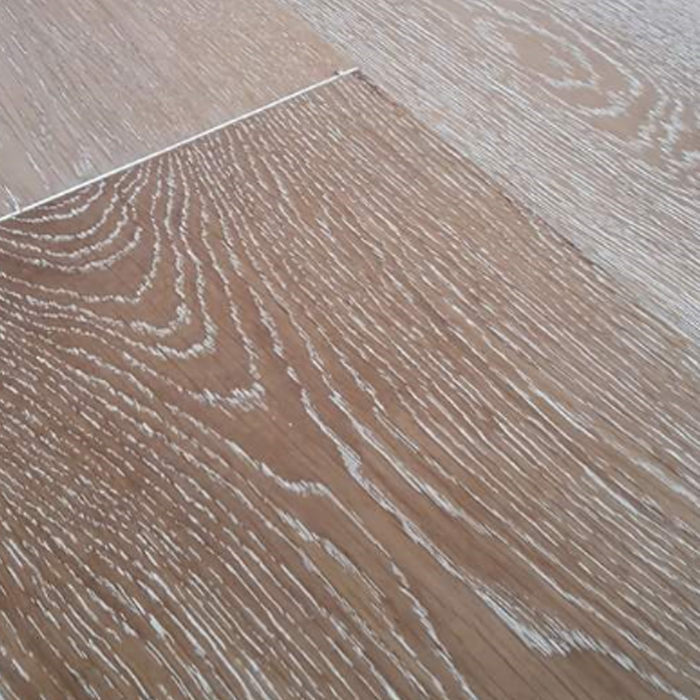 These finishes are still highly resistant and durable while allowing a significant cost saving. 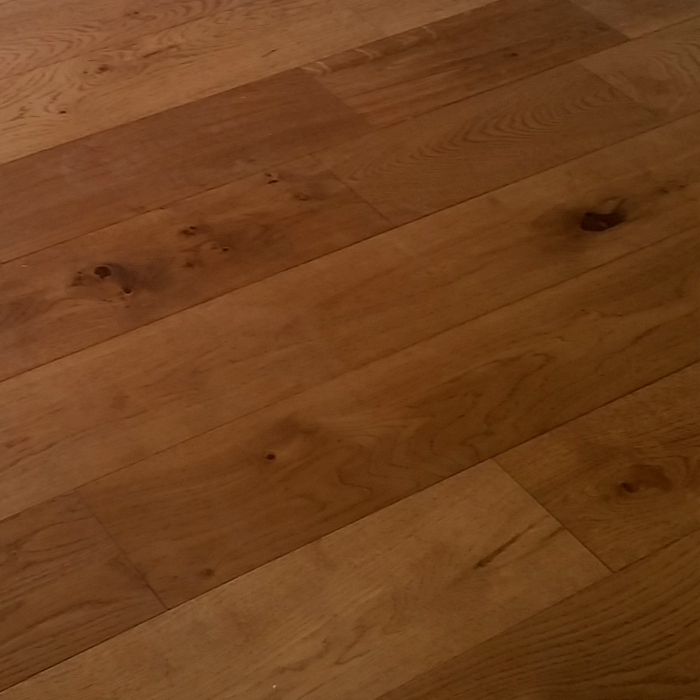 For this reason, the standard finishes of French Rustic oak have a very good price/quality ratio.